Behind the scenes of "Crave You" video. Photo by Brian Doherty. In just one week, TapTronic's gone from almost unknown to virtually viral. Irish dancers Ciaran Plummer and Zach Klingenberg quietly launched a Facebook page last month. On April 27, they posted their first official TapTronic video -- a remixed version of electronic song "Crave You" by Flight Facilities, accompanied by their rhythmic footwork -- and just a week later, it boasts nearly 177,000 hits on YouTube. "We were caught off guard," Klingenberg, of Columbus, Ohio, said of the video's sudden virality in the duo's first official interview as TapTronic. Although the dancers had an inkling that the video would be "pretty cool," they had no idea what kind of attention it was about to draw. The video's been featured on the Huffington Post, CBC, MSNBC and blogs around the world. Dubsteppers and step dancers alike are raving about the exciting cultural combination. "Not that it wasn’t the intention," said Plummer, a Toronto native, of the video's electronic-meets-Irish dance concept and the attention it's receiving, "but it was just as raw as us wanting to make a video." Klingenberg, 20, describes himself as an avid electronic music listener. 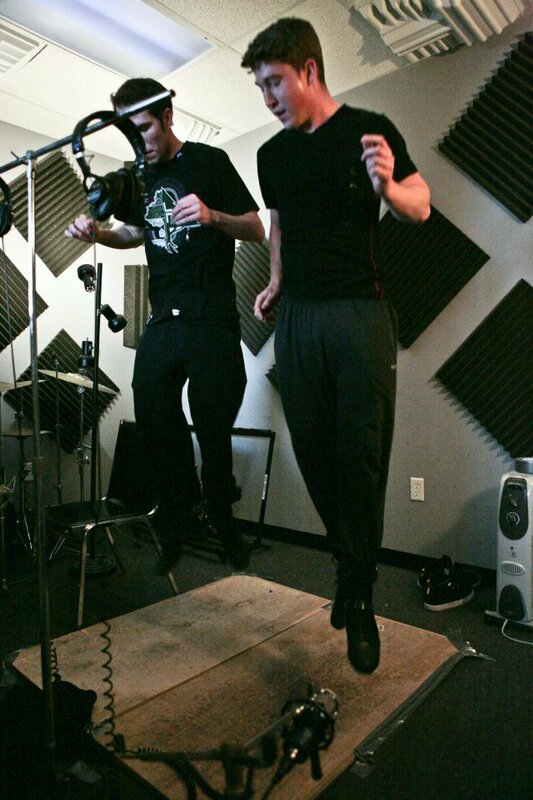 He introduced Plummer, 27, more of a rap/hip-hop fan, to the genre, and the two decided to put their Irish dance beats to music. 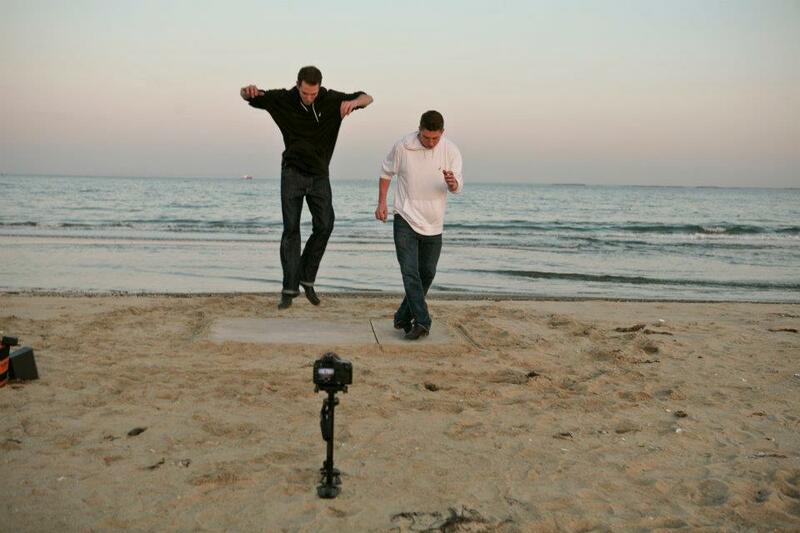 With the help of friends at Surefire Music Group, they recorded their taps to Adventure Club's remix of "Crave You" and shot the accompanying music video at Revere Beach near Boston. It was the first time the two world-class dancers had ever choreographed anything together, they said in a Skype interview earlier today. "It was crazy the way it happened," Plummer said. "We got in [the studio], and after we finished two sessions of choreography, it felt so natural." "We really tried to pay attention to detail within the song so that at no moment in the song was there a disconnect with what was happening with our feet," Klingenberg said, adding that the rhythms were sometimes as complicated as having to "dissect a four-bar sequence down to the hair." The decision to wear two different styles of shoes was intentional, too, they said. In the video, Klingenberg wears metal taps to produce a higher pitch, and Plummer dons traditional Irish hard shoes for a heavier sound. Combined, the shoes create a rich percussive beat that highlights both the dancers' personal styles. Regardless of the shoes they wear or what commenters on TapTronic's YouTube page might believe, they are Irish dancing -- not tapping, not clogging. Another subject of debate which the lads want to clear up is the speed of their feet. "That's real-time," Klingenberg said, putting the rumors to rest. Even his brother jokingly suggested adding a disclaimer to the video to reassure viewers that the video had not been tampered with to make their feet appear to move more rapidly than they actually do. The ability to dance so quickly, Plummer said, is directly related to his Irish dance training. "It’s the product of our environment, the way we were taught to dance," he said. Plummer, a two-time Irish dance world champion, learned to dance from his father, certified Irish dance teacher and adjudicator Ron Plummer. Klingenberg, a regional champion and four-time world championship medal-holder, learned to dance at the Richens/Timm Academy of Irish dance. The two met each other while on tour with Michael Flatley's Lord of the Dance. With one wildly popular video picking up steam around the internet, the dancers aren't giving away too many details about their next steps. "We have some plans in the pipeline," Plummer admitted. Guess we'll just have to wait and see. Can't wait!